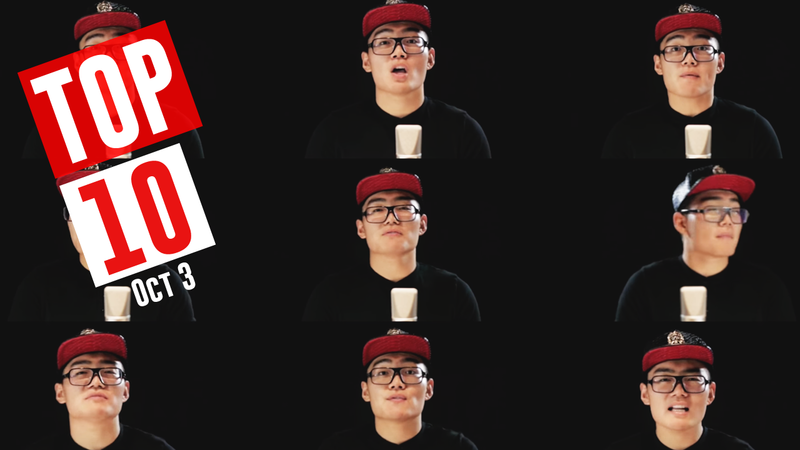 TyTe catches up with beatboxers from around the world in this in-depth article about beatbusking. This article was edited and repurposed by Jon Park. Is it legal to beatbusk? How much do you make from busking? Who are the best givers? Should I go solo or team up? 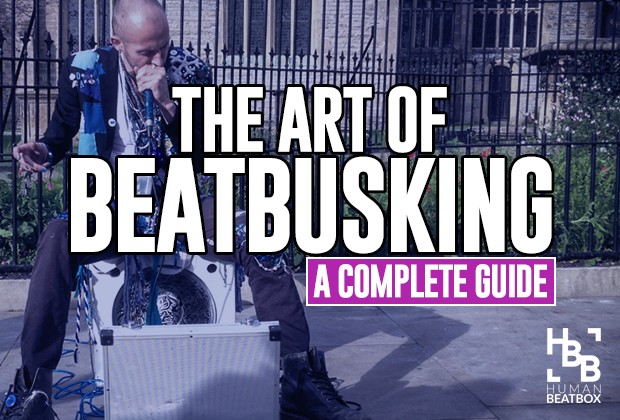 The term beatbusking is a combination of beatboxing and busking. Put simply, beatbusking is street performing for money. The beatbusker positions themselves in a pedestrian area of a city, for example, on a street corner, in a metro station or public square, and using microphone and amplifier, performs beatboxing in exchange for voluntary donations from the listeners and passers-by. 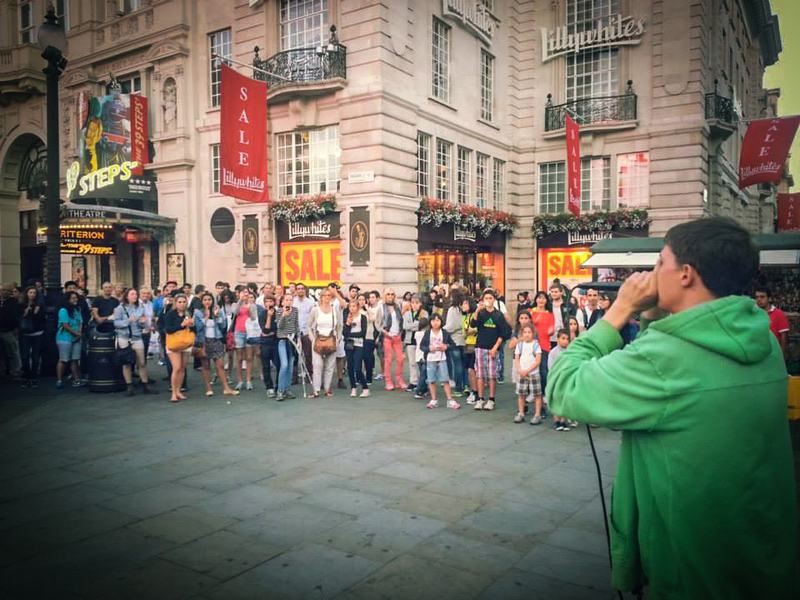 For some beatboxers, beatbusking is a way of life combining their love for performing with making an income. For others like Rithum from Montreal, beatbusking is a way to make some extra cash in their spare time. If you're thinking of beatbusking you need to be familiar with the local laws in your town or city. Many towns and cities regulate busking and you need to know where you are allowed to busk, where you're not allowed to busk and whether a license is required. You can pretty much guarantee that permission is required wherever you choose to beatbusk. 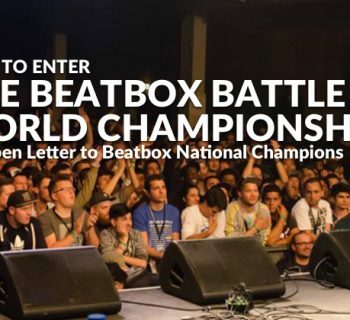 It seems there are very few places you can beatbox in public without the required permission. This permission usually takes the form of some sort of annual license. This may well be in addition to any fees payable if you are beatboxing as part of an event or festival. Also, in some US states there are also noise permits and park permit fees. Even with these licenses, the beatbusker is still limited to specific locations and/or times. For example, in NYC, Union Square Park requires a park permit as well as a noise permit from the NYPD to use an amplifier. In Covent Garden, London, you even have to audition and the authorities also insist that you gave Public Liability Insurance! In some public places you are allowed to busk, but not allowed to use amplification. Without amplification it is impossible for the beatbusker to be heard over the background city noise. Noisy Parrot explains, "I hold firm to the belief you do not need permission to express yourself, and moving around so much it would be a waste of my time to be dealing with every council to inform me of their (licensing) schemes. Some have a pretty basic application, some have ridiculous fees, but I wouldn't bother. Do what you love, ask no one." If you do see police or security, you might even want to ask their permission. If they say yes, then if others try to move you on then you can say that officer 'Barbara' gave you permission. Even if you have the correct license you still might not be able to set up and busk. In the city of Bath, UK, for example, where public space is at a premium and the number of buskers is large, all the town buskers gather and pre-allocate places and times. If you set up without seeking this unofficial permission, you will be chased off by an angry mob of buskers! In cities like Montreal, beatbusking on the metro is free, but a street license costs $50 per year. In Pennsylvania you need a pedlars license and this costs $100 per year. Panhandling is where you ask for money. This is considered a form of begging and is illegal in many places. When you are beatbusking you must always perform for free and if someone wishes to donate then that is their choice. Never beg or harass members of the public directly, even in jest. However, all beatboxers will experience times when they really need money but the crowd is not really giving anything. If you really have to ask, do it in a jokey manner. One of the best we've heard is Fredy Beats stating that, "performance brings me happiness but happiness will not pay my rent." Nearly all beatbuskers have at one time or another been approached by the police and either asked to stop or display the correct license. There's always been a tension between buskers and the authorities. 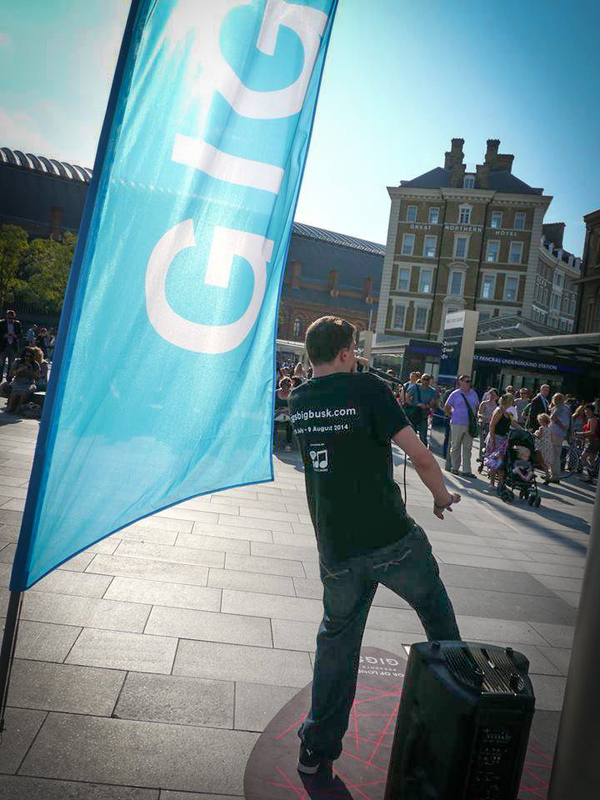 In some public places, beatbuskers are approached by security guards or police nearly every time they perform. Sadly, there is an 'assumption' that buskers must be breaking a law and that busking is linked with homelessness and/or criminality. These condescending interruptions are more annoying than serious. It is important to know your rights and not to be intimidated. Be polite and co-operative but firm. However, if you know you are breaking the law, or don't know your rights, be warned! You need to ensure that there is a steady and consistent flow of people walking past you but also enough space to perform and give a little space between you and the audience. In the daytime, shopping and leisure areas are good - where people have time to spare and money to spend. And in the evening, areas with bars and clubs can be great places to beatbusk. However, finding a good spot can be tricky in densely packed urban areas. You need to be close enough to the attractions - the shops, bars or event venues - but far enough away that you do not affect their business. JZizz says, "Often, the issue is not the location but business owners nearby who complain about the noise level and claim it is affecting their business." Set up in a place with low background noise from traffic or other music, preferably with adequate lighting and good acoustics. When you set up, ensure you have a wall or fence behind you and are out of the way of people walking. Do not block a public entranceway or anywhere someone might want to get to. This includes park benches. Setting up somewhere you can get shelter from the rain is also important in some places and at certain times of the year! You might also want to think about whether you just want the money from passers-by or want to perform to a crowd. For example, outside train stations is good for money but a difficult place to build a crowd as people are often in a rush to catch a train. When is the best time to busk? The best times for beatbusking might not be obvious. The word on the street is avoid the morning rush-hour. People on their way to work do not have the time to listen or the inclination to give you money. Perhaps think about when school-age children go out with their family? A Saturday evening from 7pm is perfect as families are still out, people are going out for meals and people start to hit the bars and clubs. Many beatbuskers specifically targeting evening entertainment areas start at 8pm or 9pm. Sundays are often productive as people are not working. Believe it or not, the early hours of the morning between midnight and 4am can be the most productive in clubland. The worst day in the week for beatbusking? Monday. Places where you see other buskers might be worth a try as clearly they've not had problems setting up there. The golden rule is never set up close to another busker! If you do see other buskers, be friendly to them. Have a chat with them as you can learn a lot from other buskers about what is happening on that day. You will also pick yo general tips. How much should you expect to make beatbusking? The average amount seems to be about 10-15 (euros, dollars or pounds) per hour but on special occasions such as a sports team fans exiting a stadium this can go up dramatically. In a high traffic area, with a well-chosen spot, you should aim to make about 100 (euros, dollars or pounds) in a 3-4 hour session. Although people still use CD's, it's important to be ready to promote your brand. People will be taking photos, instagramming, snapchatting and all that jazz - be sure to show the crowd how to find you online! The best givers are generous people no matter what background, race, or age - and there's just no way of telling. ABH says, "My first ever £20 was from a guy wearing a suit that looked like it was worth thousands. However, recently I've had lots of big notes from people who I would not stereotype as wealthy looking. I saw a video of my friend Blasby getting £100 from one young guy that looked like a student. The answer is to treat everyone the same. You never know who your next big tipper will be." However, it's been the experience of some beatbuskers that drunk people who are new to beatboxing tend to give well, as do old people and people who appreciate arts and music! Whoever gives, and however much they give, acknowledge it and BE APPRECIATIVE. Children will especially give expecting some sort of thank you which you can then throw out as a rap or scratch. ABH says, "I'm humbled whenever anyone gives - and felt happiness one day when a homeless guy gave me £1 and wouldn't take it back." Proof that generosity is a state of heart and not of wealth. Should you go solo or team up? The beauty of partnering up with another beatboxer or artist is because you can bounce off each other and play off each others' grooves. You can also do solo slots but you will need to agree on a set number of solos each and be generous about splitting all earnings equally between you. Solo slots often attract more interest and money because all the sounds are coming from one person. So, if you do team up, make sure you take it in turns! The other main reason to beatbox in a pair or team is if someone tries to steal your money. Yes, it does happen. If there is only one of you then you have a choice - to chase the thief and leave your expensive equipment or lose the money. Two of you is a much greater deterrent to the casual thief. Sometimes, people under the influence will try and grab the mic from you. Again, this is less likely to happen if there are two of you as one can ward off potential divas. Be open to other artists joining you for an impromptu jam. Noisy Parrot tells this story, "Jen walked by me in the street and asked if she should grab her violin. It was the first time we played together but what we made then was some proper magic." And finally, if you need to pee, well, your partner can watch your kit! One thing that beatbuskers agree on is that success depends 70% on mic technique and only 30% on beatboxing skill. You can be a pro-beatboxer but without busking technique you won't draw large crowds or make much money. If you are hoping to attract a crowd then you need to mark out a line for your crowd to come up to. You want them to be close enough not to be intimidated but close enough to put money in your pot. Don't use a rope or any physical barrier that someone could trip on. Don't mark the ground with something semi-permanent such aha chalk or tape. The best method to mark out the area is to use water. Poke a small hole in a bottle lid and mark the area with drips of water. With your perimeter marked ask the crowd to move up to the line. There are several reasons for asking your crowd to move closer. Firstly they will form a crowd and others will join out of curiosity. Secondly, your crowd become 'locked in' and it's more difficult for them to move away without it being awkward - resulting in more donations. Thirdly, if any of your crowd is next to a public highway, crossing or causing an obstruction, the police can stop you performing under health and safety legislation. You can even tell your crowd this is why you're akin them to move closer. Perform short sets between of about 5 minutes. Start slow and work your way up tempo. Build a crowd then perform a 5-minute set for the full crowd. End it and let people know that a set has finished so they know that it's time to give. Then after people disperse, repeat the process to a new crowd with full pockets! It is vitally important that you talk to your crowd. They need to be entertained. If you just stand there beatboxing for 20 minutes people will get bored and move away. Also, talking between beatboxing, shows them everything is live from your mouth. Putting the mic to your neck is also a great way to show that all the sounds are coming from your mouth! The short answer to choosing what style to perform, is to perform whatever the public wants! Ask yourself, is the crowd young or old? Would they like EDM, dub step, drum and bass or current pop covers? If the crowd is older then how about jazz, singing while beatboxing and covers of older songs? For example, in some places the audience for hip-hop is probably the biggest and so hip-hop will have the widest appeal in public areas. However, if someone approaches you and asks, "Hey, can you dubstep?" then instantly drop the most disgusting heavy basslines for them! If you want big crowds and big money then it's essential to perform covers. You will need to perform tunes that everyone knows because your crowds are likely to be of mixed ages and backgrounds. For example, when ABH performs 'Hit the road Jack' or 'Billy Jean' the whole crowd recognizes and enjoys it. 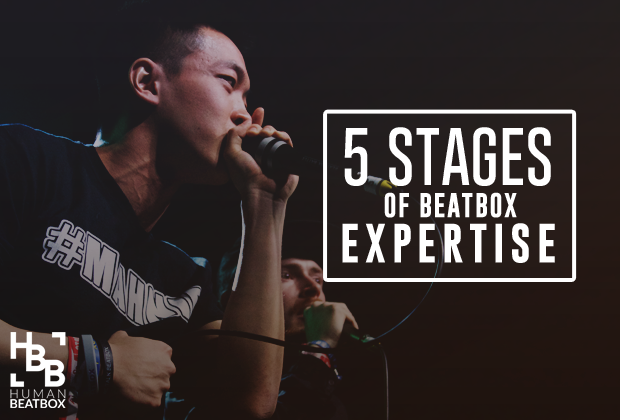 Try to pick classics and chart toppers and perform them in your own beatbox style. Create set-lists of songs that will go and flow nicely together. Have the set-list handy on paper or on your phone. Stay up, stay active, stay engaging! It's important to stand up. This shows that you're serious about engaging with your audience and it gives you greater presence. 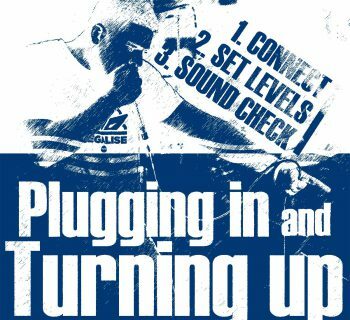 Some beatboxers stay seated on their amplifiers but when you stay seated you're not as visible and it's trickier to maintain eye contact with your crowd. As well as remaining standing, use your whole body. Move about and use hand gestures. Move to your own beats and rhythms. Try to make eye contact with every person in the crowd at least once. It makes them feel more involved - and throw in sounds that will engage them - and include some humor. How big is your money pot? The bigger your money pot, the more money you will get. The more obviously placed it is the better, unless it's somewhere passers-by will likely kick it sending your pennies flying. For example, ABH uses a washing-up bowl. This works much better than the small pot he used to use. If the police in your area are a little intolerable of buskers, put some promotion leaflets or business cards in your money pot. This emphasizes that you are advertising rather than begging! 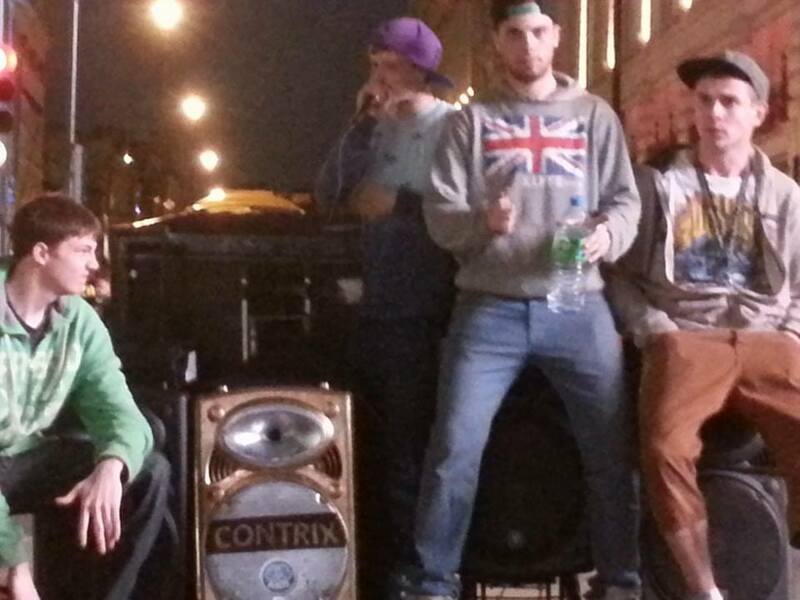 It's amazing how many beatboxer stand there like a statue with their hoody up. Beatbusking is a performance and those that entertain gain! Some dance and others use sound effects to enact imaginary situations. Rithum's tip: Perform imaginary whip-cracks with accompanying sound effect at passers-by. JZizz's tip: Kids love to dance to beatbox so if a little kid starts to dance, keep that beat and it's guaranteed to gather a crowd. The parents of one child who danced to the beatbox gave me a $20 tip and thanked me for the entertainment. Noisy Parrot's Tip: Just be yourself. Sometimes engage the crowd and get them involved. Love what you do. If it's your passion then people feel it. ABH's Tip: Invite notes from the audience with their names written on them, or better still, provide a clipboard and pen. The names can then be vocally scratched during the routine. Once you do one, more people will write down names! 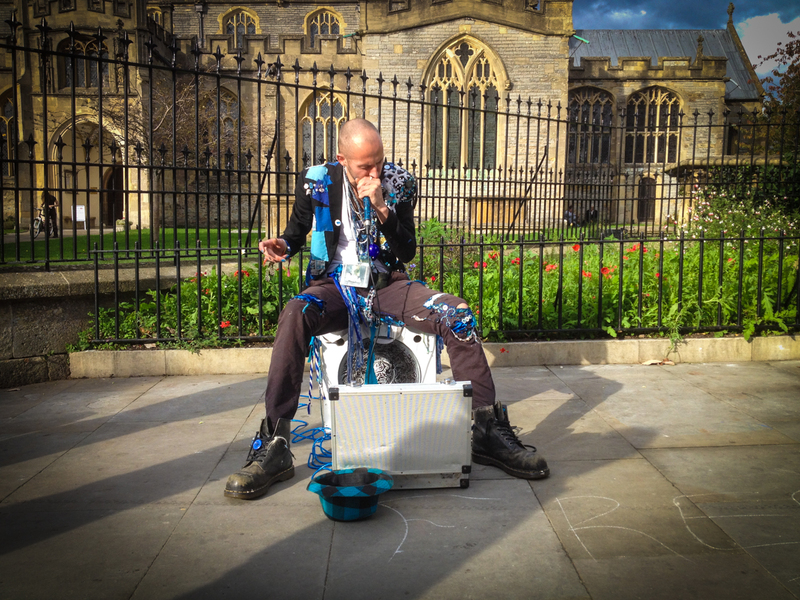 What equipment do beatbuskers use? Most beatbuskers use some kind of portable amp. Amongst HUMANBEATBOX.COM members, popular amps include the Roland Street Cube EX, the Behringer Europort MPA40BT-Pro and the QTX Sound QR15PA. The Roland EX amp runs off 8 AA batteries whereas the QTX has a rechargeable battery. The length of time you busk each day is limited by the time your battery lasts. If your battery only lasts 3-4 hours, ABH recommends taking an external battery with wires to connect it. He uses a heavy duty trolley to transport his equipment from spot to spot. Microphones of choice include the Audix Fireball V Microphone and AKG D5 or Beatbox Battle Mic. ABH recommends taking a spare microphone and lead too! 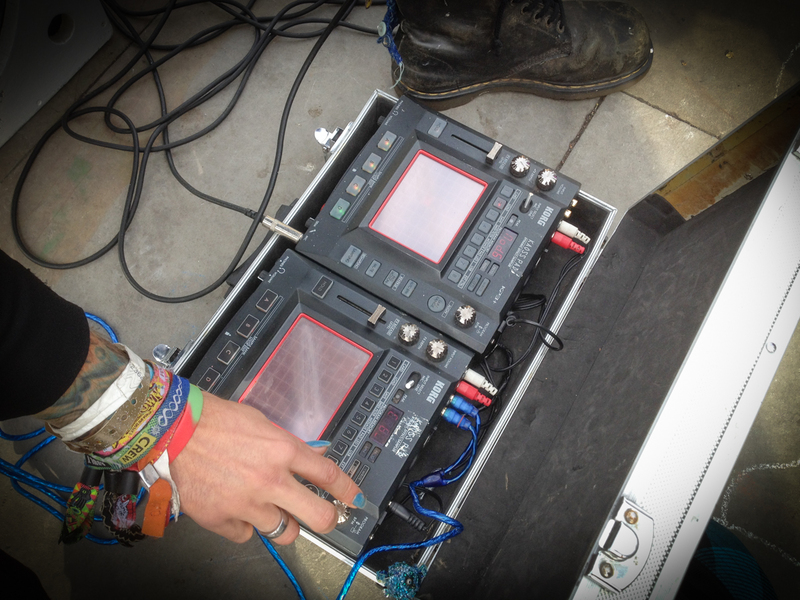 Some beatbuskers such as Noisy Parrot use a pair of Kaoss Pads (KP3 and KP3+) to enable them to add effects and layer up tracks. Any other things to take along? ABH says, "I always take my business cards and a big bottle of drink!" Top amount paid: $60 in four hours ($240 with a band split four ways). Worst Experience: "The worst was when I had lost my licence to play a few months back and the police were asking me to leave. I started being rude because I thought I had my licence but then I looked like an idiot and they attempted to take my equipment, so I ran away with it; leaving probably 20 bucks in the hat that was on the ground in front of me." Thanks to Rithum (Montreal). Top amount earned: Not telling! Worst Experience: "The worst experience was while I was in Pittsburgh. I had set up my amp and hadn't even been there for 5 minutes when I was approached by security. He claimed I was on private property and threatened to call the police on me for trespassing if I didn't move on. " Worst Experience: "A guy tried to steal my money!" Favorite location: Favourite locations have got to be the obscure ones. In a park inside a big metal tube, because the sound was awesome, and just last night I was at a squat party and this corridor that led down to this old boiler room. I had my rig with me so thought I'd set up. An absolutely epic atmosphere in there. Top amount earned: About £200 one set. It was a stroke of good fortune being outside this restaurant. The owner came out and told me to stay as long as I like, dropped me £20 quid and a pint. After this nearly everyone in the restaurant followed suit! Favourite location: Camden, London, UK is a place where there are many people into urban music. It also used to be legal to busk there but they changed their local laws and amplified busking is now illegal. I also enjoy Westminster because it's the only place I can get huge crowds which are fun to perform for. Top amount earned: £270 in a 3-4 hour session. Worst experience: There was one time mid-set that my sound just cut out and I couldn't work out the exact problem. I was extremely worried my speaker was broken as I didn't have £200 to replace it. Luckily, when I got home I discovered it was just a broken mic lead and easily replaced. Now I always carry a spare!